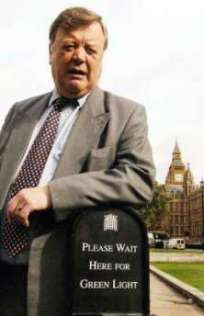 Ken Clarke has mischievously ridiculed Labour’s junior business ministers. 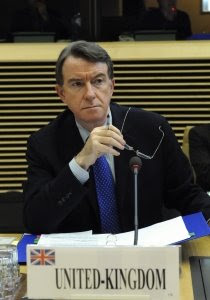 As a peer Business Secretary Lord Mandelson is unable to face Clarke in the Commons – leaving Pat McFadden (right) and Ian Pearson to face up to the Tory big beast. 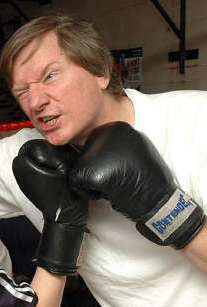 But Clarke, with years of debating experience, has so far come out on top of his clashes with Mandelson’s underlings. 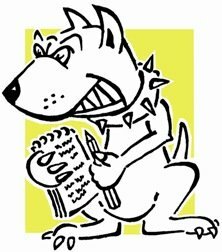 The shadow business secretary told Lobbydog: “They have no political clout – they are not the real source of authority in their department. “If Mandelson would have come back as an MP he certainly would have strengthened Labour’s front bench in the Commons – he is a better advocate. He explained that he liked and had respect for “Peter”. 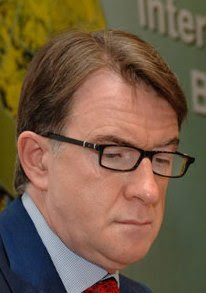 But the jibes will be seen as a direct challenge to Mandelson who has so far shrugged off the idea of a televised debate between him and Clarke. Lobbydog has discovered that the Mortgage Rescue Scheme has hardly helped anyone so far. Proper monitoring procedures won't be set up till later this month, but DCLG has done a survey of sixty councils – the scheme is being run by local government. There have been 500 applications but only 180 met the strict criteria. I called a couple of councils myself – in one city they’d had only 20 enquiries to the scheme, announced in November last year, with not a single one being approved. In another they’d had 50, but again, not a single one had yet been approved. Part of the problem seems to be the eligibility criteria – the scheme doesn’t accept anyone in negative equity for example. To be fair the Government said it would only help 6,000 in the first place. But people at the Citizens Advice Bureau claim the criteria is so tight that there are people who need help who won’t get it. Other councils haven’t got it going yet saying it’s just too early. 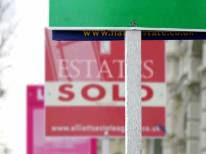 A second initiative which might be broader – the Homeowners Mortgage Support Scheme – doesn’t come on-line till April. 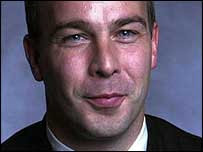 Nottingham North MP Graham Allen was interrupted by the Speaker in mid-sentence earlier and told to sit down. He dared to try and speak while being "undressed in the chamber" - he was missing a tie. Lobbydog feels solidarity after being chucked out of the Press Gallery last year for not wearing a jacket. It’s becoming clear that the PM has shot himself in the foot with the focus he’s put on the G20 summit. The approaching event in London is crucial to him politically, obviously, because as we’ve been told the recession is a “global problem” that needs a “global solyootion”. But to get the kind of joined-up thinking he wants is going to be nigh on impossible. No Government is going to want to look like an internationalist – even less so to make international concessions – when things are so bad at home. You only need to look at Obama’s cool language to guess that much. Things have been made worse through the embarrassment over a leaked document (see it on the FT’s site here) showing the Foreign Office rates some countries as second rate – including old allies Australia and Canada. The feeling that Brown is doing something that is working would receive a big boost if an international deal were sealed – imagine all those leaders back slapping. 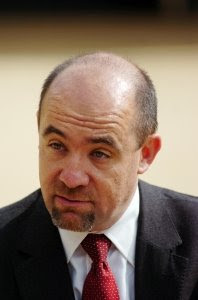 But if it fails, by Brown’s own analysis of our situation, it means the economy will go down like a sinking ship – and we all know what happens to captains of sinking ships. If that does happen we may well be in for an international finger pointing fest - which is always fun. The register of minister's interests was put out last night. 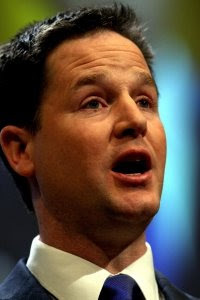 The Prime Minister's brother is listed as the director of corporate communications at EDF energy. Among other interesting entries is Schools Minister Jim Knight's, whose sister in-law is involved in PFI contracts. Ken Clarke must feel a little left out this morning. For weeks he’s been trying to draw the Business Secretary into a direct war of words but Mandy hasn’t taken the bait. Then along comes Bank of England Governor Mervyn King, who I might add bears a startling resemblance to Corporal Jones from Dad’s Army. He makes one critical comment about Brown in a select committee and up pops Mandy’s pointing finger, accusing the BoE of holding up help for the car industry. Poor old Ken must be wondering what he has to do to get a reaction. No doubt Mandy will still hold his tongue. Initially the tactic appeared diversionary. But I imagine he wants to be able to dictate the terms and timing of any conflict with Clarke. It seems Cleggers didn't fully rehearse his speech on the victims of recent violence in Northern Ireland before PMQs today. 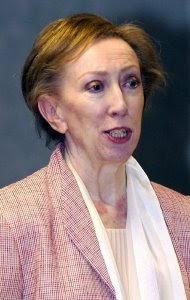 He referred to Corporal Stephen Carroll, where it should have been Constable Stephen Carroll. He meant well though, and with the other leaders paid tribute to Constable Carroll and the two soldiers murdered this week. Other than that PMQs was very dignified - it also being Cameron's first since his family's loss. Noticeable discomfort clinched James “future leader” Purnell at breakfast this morning robbing him of his usual ease. No, I mean – I think everybody agrees that, you know, we’ve, er, erm, made clear that, er, we accept responsibility of Government aaaand, er, no-one would claim that, er, everything that was done was erm, er, er, was, er, y’know, with hindsight, er, erm, always absolutely right. But I would also think Gordon is absolutely right, err, to say that he’s been, erm, arguing at international level for the kinds of errr, financial and regulatory changes which are now right at the top of the agenda for the world. So I think, you know, it’s er, it’s er, er, er it’s a, um, something which, um, er, people look at. 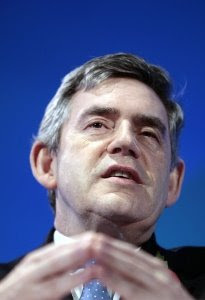 The way that, erm, er, Gordon and Alistair have, er, responded and I think the, er, the economic, um, and financial policy that they have pursued, eeeer, is, er, absolutely the right one and is leading the world in terms of its response to something which is completely unique, a unique challenge. So I think Gordon and Alistair’s, er, position is, er, is absolutely world leading in terms of dealing with this and people, you know, many people who are, erm, economists and businessmen have, er, have said that they do look to the UK’s response on this. Gordon and Alistair will no doubt be reassured. 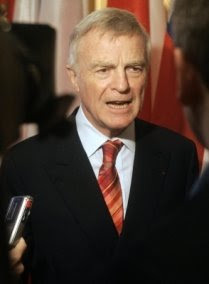 Max Mosley has just been locked in a battle of will with Paul Farrelly MP during a meeting which continues as I write. Farrelly, a former Independent and Observer hack, sits on the Culture Committee - looking into press standards and libel law. The argument centred on whether a newspaper should be legally obliged to give a person a fixed notice period before printing a damaging story about them. When “pre-notification” happens the subject of the story has a chance to see a judge and get an injunction to stop the story being printed. 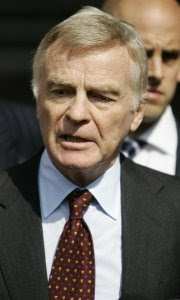 Mosley said papers should have to pre-notify one working day before printing and that a judge, rather than a newspaper editor, should always be the one to decide whether publication goes ahead. If it was right and in the public interest to publish, he reasoned, the judge would see it that way and make the right decision. Having worked in papers Farrelly, member for Newcastle under Lyme, knows that isn’t the case. There are many instances where big business or individuals have used injunctions to stop legitimate investigative journalism that people have a right to know about. Judges do not always make the right decision and if, in those cases, readers don’t find out the news that would have been printed it can have a detrimental affect on their lives. That isn’t the case in Mosley’s instance of course – but (predictably as a hack myself) I say it’s vital we’re not robbed of the power to expose wrong doing. 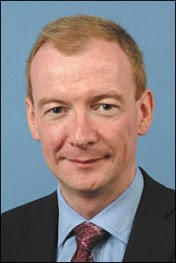 Notts MP Patrick Mercer went on Today this morning to urge restraint in the wake of shootings in Northern Ireland. Spot on I reckon. A heavy counter-productive reaction is just what the Real IRA want. At the moment they don’t have the support of the public and it would be playing in to their hands to give it to them with a heavy-handed response. 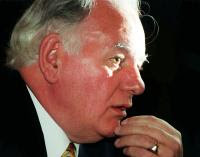 Mercer spent nine tours of duty in Northern Ireland as an officer with the Sherwood Foresters before becoming an MP and has first hand experience of how a peaceful situation can turn ugly. 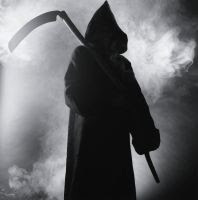 Research has shown the Government forks out £73 million in benefits to dead people every year. My head hurts from all the satire. If dead people can so stunningly cheat the welfare system, I don't hold out much hope of officials catching many live benefit cheats. DWP has had to write-off £27 million of the cash, presumably because the dead people put up too much of a fight and wouldn’t give it back. Rigor-mortis does give one a very strong grip. Oddly I did a story for the Evening Post a couple of years back about the council charging dead people rent. Imagine, there could be whole tower blocks of rotting bodies up there - getting housing benefit paid into an account and then paying rent direct debit from the same account. Whole banks are probably being kept afloat through the transactions of dead people. It seems Speaker Michael Martin is still held in regard by some people. A story in the Mail yesterday revealed Tory MP Douglas Carswell had told a reporter from House Magazine in an interview that Martin should resign - but the comments were never published. Could it be that editors worried about the House Magazine’s wide distribution on the parliamentary estate? Martin controls what is and isn’t distributed here and has little time for troublesome hacks. If that is the case the Magazine should’ve just gone for it. The Speaker is a lame duck and the more people prepared to point that out the better. It feels like Mandy let slip yesterday that he doesn’t think Labour will win the next election. 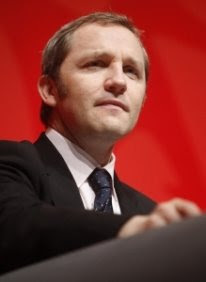 He was on Marr sending a message to Labour MPs rebelling against the part-privatisation of Royal Mail, to be debated this week. He added: “We have tried again and again as a Government to find the right way forward and frankly we have not succeeded. It stands to reason that if an “alternative” Government is in power, Labour won’t be.